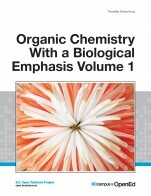 This collection contains the California Open Educational Resources Council (CA OER) list of peer-reviewed textbooks for Organic Chemistry for Science Majors Sequence A (common course-id CHEM 160 S), one of the top 50 college courses identified for inclusion in the California Open Online Library for Education (COOLforEd). This is a one-year course in organic chemistry intended for majors in the natural sciences (chemistry, biochemistry, biology, physics, and pre-medicine). The American Chemical Society (ACS) Organic Chemistry Guide and the Organic Chemistry examinations provide information on topics and indicate an appropriate level of this sequence of courses, including learning goals and objectives. At the conclusion of the course, each student should be able to employ standard laboratory concepts appropriate to the course content.